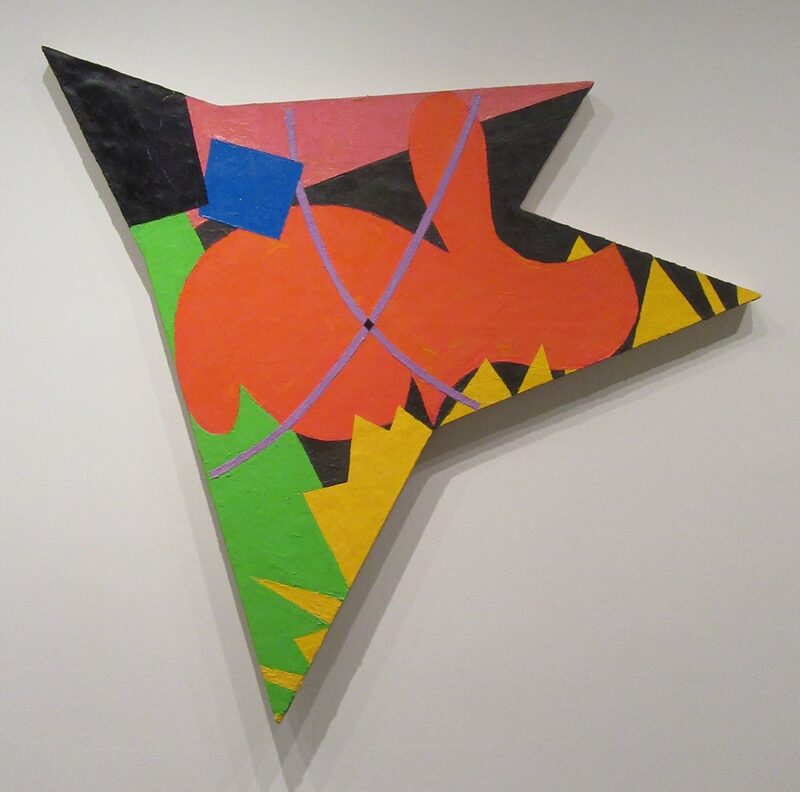 In 1978, Elizabeth Murray (1940 – 2007) made a series of irregular, star-shaped paintings with the aim, she said, of “trying to complicate and obfuscate the edges” of her medium. Indeed, the jostling contours and vivid colors of Once appear to explode outward, as if pressing the very form on the canvas into new arrangements. Murray’s dynamic compositions, charged brush strokes, and radical disruption of the frame transform the picture plane into both surface and object. While these paintings appear purely abstract, hints of imagery and reference return in subsequent works. Drawing on Cubism, Surrealism and Minimalism, Murray’s fragmented geometries and biomorphic shapes reinvigorated formalist painting in the 1970s and 1980s.